Original composition for a classical musician must be a hard to break into and make a living from, aside from making a fortune! 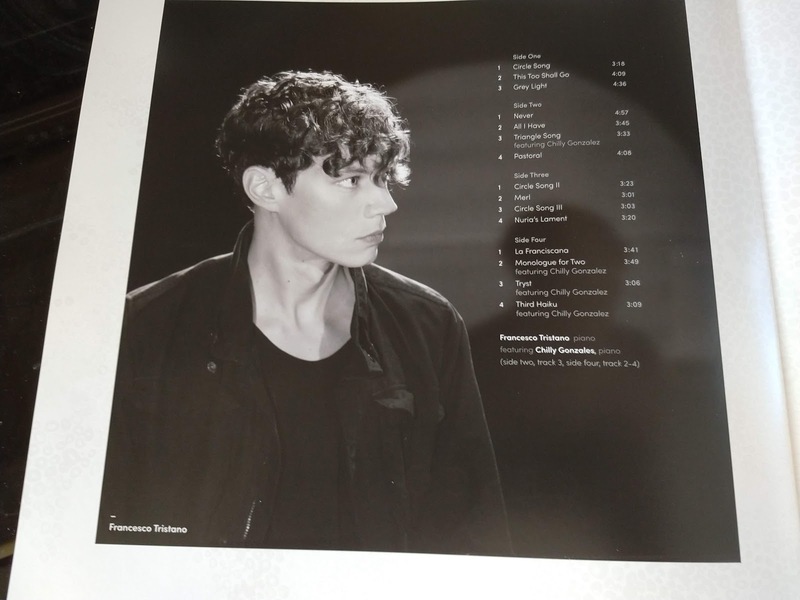 On this 2017 180g Double LP on Black Vinyl with information booklet inside and studio photos, Francesco Tristano has made a good go of it. I'm a sucker for mellow and laid back piano-only music and he does demonstrates from this album that he can certainly compose and create interesting music. Chilly Gonzales has been roped in to help with some of the tracks and you can certainly hear which ones, with his flamboyant flair! 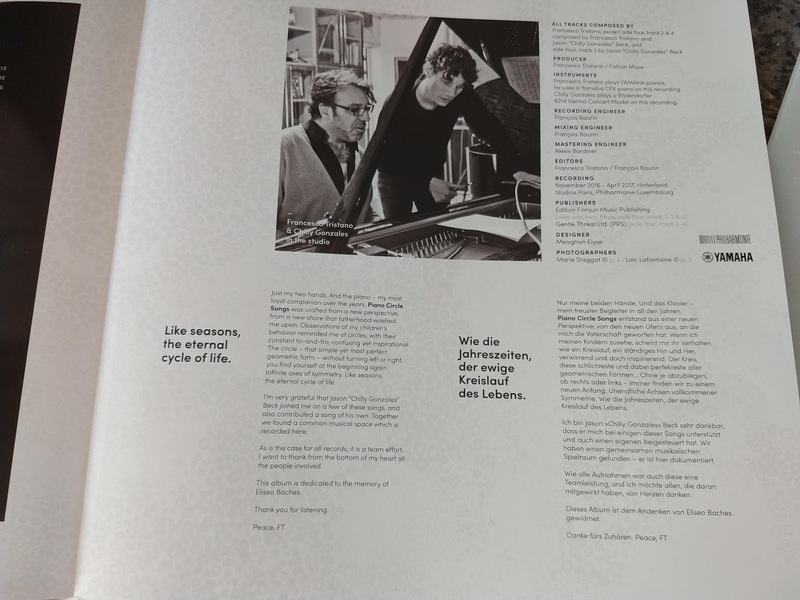 It's an enjoyable listen - and listen you must, or you won't appreciate the craft, often interspersed with timely waits and anticipation of what's to come and where it's going. Sometimes it feels a bit like funeral music, but never dull. Interesting and experimental, haunting and smooth, I'm pleased I found this and it is an excellent addition to the collection. Francesco Tristano is a Luxembourg classical and experimental pianist and composer, who also plays the clarinet and was born in 1981. He composes both classical and electronic music. 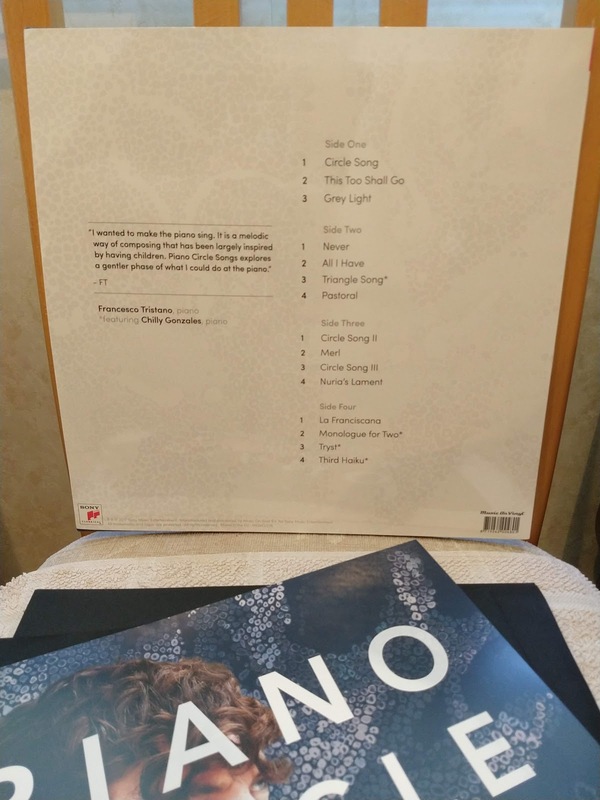 Here is a selection of beautiful, newly composed works for solo piano. 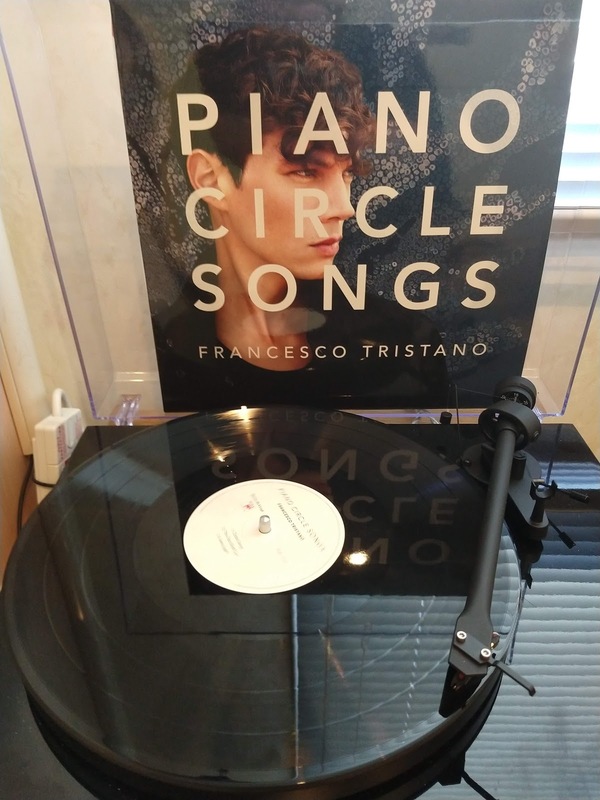 'Piano Circle Songs' features award-winning Canadian pianist and songwriter Chilly Gonzales on four of the tracks, of which Gonzales composed 'Tryst' himself for the album.